Rise Up Climbing is Central Virginia’s premier indoor rock climbing gym and outdoor guide service. Rise Up has more than 6,000 square feet of climbable surface, with 70 lead and toprope climbing routes and 100 boulder problems on vertical, overhung, and slab walls. Founded in 2008 by Dan Hague, co-author of The Self Coached Climber, the recognized authoritative text on climbing movement and technique. 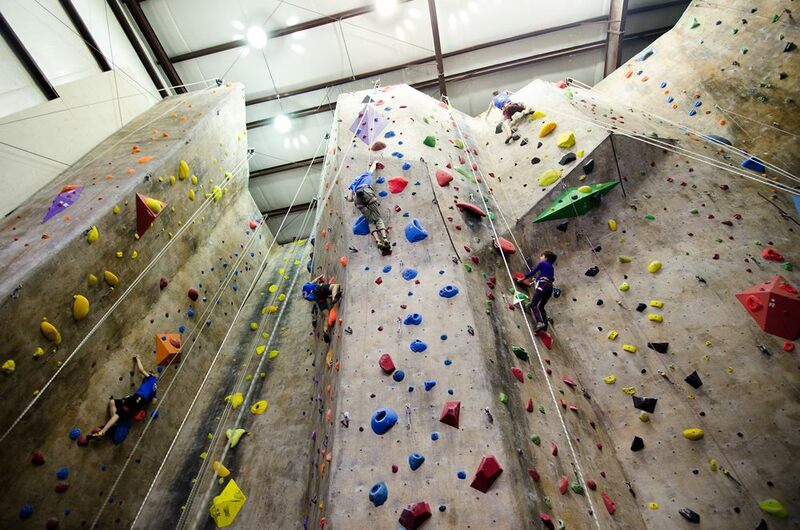 Whether you’re a seasoned veteran climber with specific training goals or just looking for things to do in Lynchburg, Virginia, Rise Up Climbing is the place! Do you have kids with you? No problem—we specialize in youth programming for kids as young as 3 years old! Have you climbed before? Again, no problem—we offer Autobelays and teach our Basic Skills Classes on the spot in 10-30mins depending on which you’d prefer. No experience necessary! Browse our website for prices, directions, descriptions of classes and youth programs and much more, or give us a call or stop on by for a tour. We’d love to see you!